In 2014, The National Association of Black Journalists will gather in Boston for the our 39th Annual Convention and Career Fair. Over 3,000 journalists, media executives, public relations professionals, and students will engage in professional development sessions, exchange critical information about breaking news events, receive hands-on training in cutting-edge technology, explore employment opportunities, and celebrate excellence at award ceremonies. Partner/Sponsor opportunities are available by reaching out to Development Director Denise Brooking at dbrooking@nabj.org or 301-405-6986. 2014 NABJ Golf Tournament Guide. 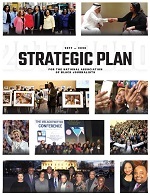 View the NABJ Partnership/Sponsorship Guide below or download the PDF. 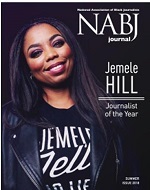 Disclaimer: As a non-profit professional and educational organization, NABJ greatly appreciates corporate and foundation support for its goals, programs and activities. Acceptance by NABJ of any financial or in-kind contribution from our partners or funders does not constitute an endorsement of their policies, products or services. There should be no expectation on the part of our partners or funders for any special treatment in news or media coverage. Likewise, as we welcome input from our partners, NABJ retains final approval of all topics of discussion, selection of panel experts, and other aspects of creative control regarding sponsored events.